Sculptra® is a sterile suspension of Poly-L-Lactic Acid also known as PLLA. It is a biocompatible agent which means it does not harm the body. It is a synthetic polymer from the alpha-hydroxy acid family (fruit acids). Sculptra® requires the injection into the skin and underlying tissues. Sculptra® is designed to help correct skin depression, such as creases, wrinkles, folds, scars, hollow eye rings, skin aging, and facial lipoatrophy (loss of fat). 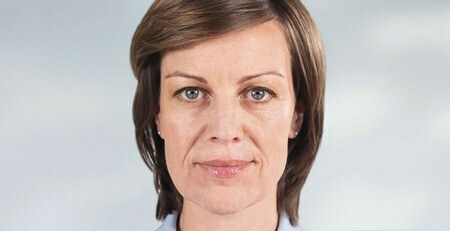 Sculptra® works differently than traditional dermal fillers. It is injected into the skin which allows you to see immediate volume and smooth away wrinkles. But, in a few days, that initial volume diminishes, but the PLLA micro-particles remain and work to help stimulate growth of your own natural collagen to replenish your volume loss. 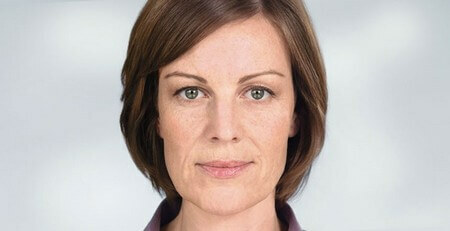 Sculptra® Aesthetics can restore a more youthful, natural look that can last more than 2 years. Serving the Ashland KY, Huntington WV, Portsmouth OH and Tri-State Area! Injectable PLLA begins working within the deep dermis to replace lost collagen and reinforce skin structure. As the micro-particles of injectable PLLA are absorbed, a collagen framework is provided to gradually restore volume. This results in the smoothing out of shallow to deep facial wrinkles and folds for a more refined appearance. During your first appointment, you will be evaluated to see how many vials you will need. Most patients will only need 2-3 appointments depending on your volume loss. At the first appointment, you will receive your first 2 vials. After 4 weeks, you will come back for your second treatment of 2 additional vials. At that point, you will begin to notice your collagen that has begun to stimulate. You will come in for another evaluation at 8 weeks from last appointment to see if you need more or not. Because individual response to Sculptra® may vary, the exact number of treatment sessions required cannot be predicted with complete accuracy. Sculptra® will help your body to re-grow your own collagen over an extended period. With Sculptra®, you can expect to see a subtle, steady improvement in line and wrinkles over the next 6 months, resulting in a more youthful look. Results can last for 2 years or longer. It is very comfortable. There is a local numbing cream which is applied to help ease the injections. Some people seem to think it is similar to filler being placed but most think it’s even easier than that. What Happens Before Sculptra® Aesthetics? Before Sculptra® the patient should consider stopping all vitamins, aspirin, ibuprofen, Gingko Biloba, Garlic, Flax Oil, Fish Oil, Omega’s and herbal remedies that thins the blood. Stopping these medications will help to eliminate any bruising which may occur at the injection sites. It is also recommended that you AVOID alcohol, caffeine, spicy foods and cigarettes for 3 days before AND after your treatment. All of these may increase risk of bruising. Poly-L-Lactic acid or PLLA has been used medically for many years in dissolvable stitches, and does not require pre-treatment skin testing for allergies. What Happens Post-Care for Sculptra® Aesthetics? There is typically no "downtime". Some redness or swelling of the treated area may last 24-72 hours after treatment. You may experience a feeling of fullness, thickness or tingling. This is a normal response of the treated tissue to the process of inflammation and new collagen formation. You can resume your normal activity immediately. There should be no tanning, in the natural sun or tanning bed for at least 2 weeks. And we follow one very simple rule: massage the treated areas gently 5 times per day, for 5 minutes each time, for 5 days.